Do you want to be leaner and longer? Even if you are already happy with your height, appearing leaner and longer can improve your presence of confidence. Good posture comes across as confident and assured. 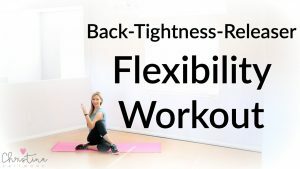 This full-body flexibility workout will help you have stronger posture, lengthen your body, and improve your flexibility. 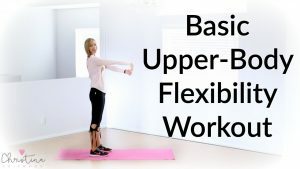 Flexibility training is an important part of your health and fitness. If your muscles are too tight, they can put extra pressure on your joints, causing discomfort and eventually leading to injury. Stretching is also very helpful for muscle recovery after working out. Here’s a list of few of the many benefits of flexibility training. 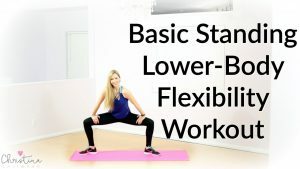 This full-body flexibility routine can be performed any time of day, on its own, after a workout, or after performing a sport or any type of exercise. 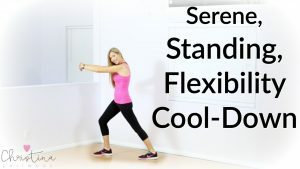 Here’s the Full-Body Flexibility Workout video. Make sure to gradually ease into the stretch. You should feel the stretch, but be careful not to push yourself too quickly. Increased flexibility takes time and consistency. Challenge yourself safely by listening to your body. Stretching and flexibility training can help with relaxation and the many other benefits listed above. When you begin to stretch more often and see the improvements, it may become one of your favorite parts of fitness. Whether it is something you love or do because you know it’s good for you, continue stretching to help your body. Enjoy your improved flexibility!